Price your dream fireplace, bathtub, etc. 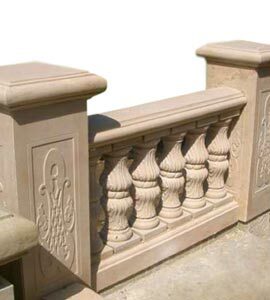 Stone balustrade systems for your home available in cast stone. Marble posts & marble balusters. Marble columns in every variety. 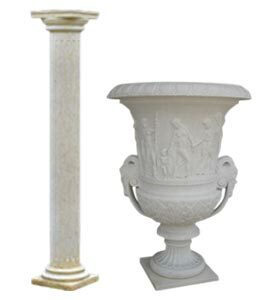 Plain fiberglass columns to fluted Corinthian tapered marble columns. 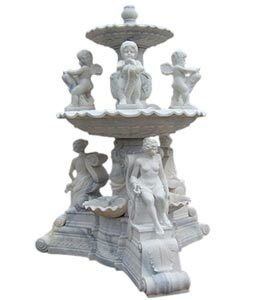 Beautiful marble fountains in various sizes. Carved with large marble statues and pools. Modern designs are available. 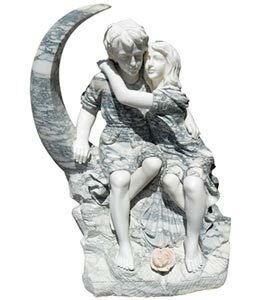 Decorate your home garden with marble statues. Custom stone sculptures of male and female forms. Email, call today. Click to find out more about our free shipping! Click to checkout our econoline fireplace mantels. Order to your specifications. Customized mantel surrounds. Bathroom vanity copper sinks, granite bathtubs. A selection of limestone wall/floor tiles. Design ideas for the dream marble bathroom. Save by shopping online. Copper bathtubs and matching sinks. Freestanding and clawfoot tubs on sale. 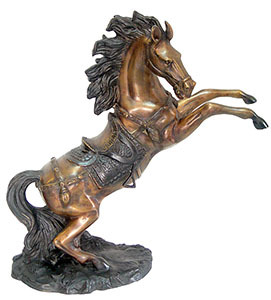 Copper sculptures in traditional and modern designs. Light weight and beautiful designs. Huge selection of fireplace screens. Variety of mantel tool sets. Design the fireplace surround with log holders. Reproduced antique andirons for fireboxes. Kitchen counter tops and cast stone range hoods. Limestone kitchen farmhouse sinks and copper options. Stone for a tile backsplash. Our fine eCommerce store. It has been such a pleasure to work with you and with master and all the guys that came to install it. It wasn't easy and we are very happy that we could be looking at this beauty everyday! It is amazing and turn out well beyond our expectations!! Thank you and whole team so much again!! this tub... IT IS AMAZING! Really beautiful. Artisan Kraft now has an online store. America’s #1 home goods supplier now adds great products to all its customers online. We’ve been your trusted source for all your home products for over a decade. Now you have the option to shop with us on our website. You can still call Artisan Kraft with all of your questions and our professionally skilled team is ready to assist you. You can just as easily email us and our team will get back to you. If you know what you want pick it out. Place it in your cart. Wait for the listed period of time and we will deliver it to you. Here on this website you can shop for all of our exclusive products. Our line of marble fireplaces leads the industry. Each fireplace mantel is exquisitely designed. Replicating the traditionally marvelous French and Italian designs. Offering a flight of contemporary and modern mantel surrounds as well. All designs are customizable. 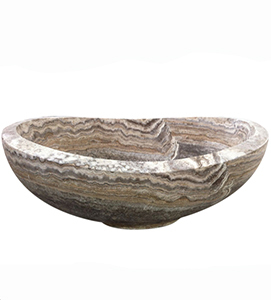 Most can be made from any natural stone like limestone and travertine. Our cast stone is the finest in the industry. 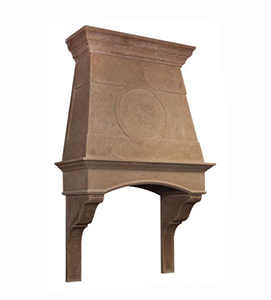 Cast stone fireplace mantels are customizable. Manufactured from limestone to give the most real stone finish that is a man made faux stone. Bathtubs and sinks both come in copper and marble. All of the bathtubs can be made freestanding. The clawfoot soaking tubs come in copper and marble. Slipper tubs and oval baths are the most common designs. We can custom fit the bathtub to your existing space. Fireplace accessories are easy to buy in this one stop shop for all your surround needs. Get great deals on fireplace screens. One panel and 3 panel screens shipped quickly to your home. Prongs, poker and shovels sold in packages or separately. Find exactly what you need for you home kitchen, living room and bathroom here at Artisan Kraft aka AKgoods. This website is still under construction. Please visit our main website or call for us to help you navigate. Call us today or email at any time. You still have the option to visit our Chicago showroom store. We also have a location in LA, CA (Los Angels, California). Our sales representative are ready to help you anywhere in the country.